At Heartland Dental Group, we believe that a dentist and patient become a team for treating an individual's dental needs. Our dentists will spend much of their time listening to your concerns and responding with the best treatment options for you. We also want our patients to be informed about dental problems and treatments because informed patients make better decisions about their health and well-being. That is why we've included a section on this website covering the full array of topics associated with dentistry and dental diagnosis, and treatments. We encourage you to look through these pages whenever you have an interest or concern about your dental needs and care. 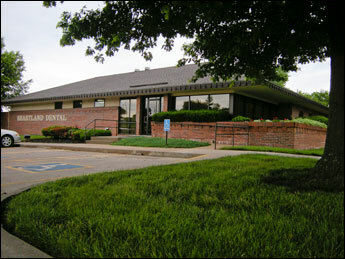 We also know that convenience is important to your selection of a dentist. In these webpages, you'll find information about our Leavenworth, Basehor, and Atchison offices, maps, hours, insurance policies and appointment scheduling. Please feel free to contact us with any questions you have or to request an appointment. We hope you'll find that Heartland Dental Group with our friendly and dedicated staff is committed to helping you and your family achieve and maintain the highest level of dental health possible. A healthy, happy smile is a big part of looking good and feeling good about yourself. At Heartland, we are here to help you achieve that goal. Our friendly, dedicated staff is committed to helping you and your family achieve and maintain the highest level of health possible. We do this through our 'lifetime dentistry' approach: a long-term, comprehensive dental health program prepared just for you. This will allow you to get that beautiful, healthy smile and keep it, too.